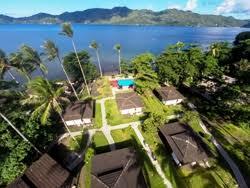 2019 Indonesia scuba diving holiday special offers to Sulawesi Dive resorts in MANADO and LEMBEH. 5 Days Boat Diving* (10 dives tanks and weights). *Terms and Conditions apply. Price includes return flights, airport transfers, accommodation on full board, twin share basis and diving pack (as specified above). *Divers must be qualified to minimum Open Water Standard or equivalent value in instruction package included. *Dive packages for minimum qualified PADIOpen Water or equivalent standard with diving certifcate card and logged dives. If not qualified then the equivalent value will be given in an instruction course. Subject to availability. (4 days boat diving at Tasik Ria, Manado and 4 days boat diving at Dive Into Lembeh tanks and weights.) *Terms and Conditions apply. Price includes return flights, airport transfers, accommodation 5 Nights in Tasik Ri Resort, Manado a on twin Share basis including and 5 Nights in the Dive Into Lembeh Dive Resort, Manado on twin share basis including. *Dive packages for minimum qualified PADIOpen Water or equivalent standard with diving certifcate card and logged dives. If not qualified then the equivalent value will be given in an instruction course. Subject to availability. For your diving holiday to Manado - Indonesia, Tasik Ria Resort is a boutique style family run resort set in tropical gardens on the waterfront and comprises of 34 comfortable en-suite rooms with good facilities and a diving centre on site. Relax by the pool or in the spa and enjoy dinner and cocktails in the restaurant and sunset Jetty Bar at the end of a great day's diving. Twin centre stay with new sister property in Derawan available. Set in tropical gardens on the waterfront with stunning views of Manado Tur and Bunaken National Marine Park. It is around 30 minutes drive away from Manado. Bunaken National Park is around 45 minutes boat ride away and provides you some of the best diving. A boutique style family run resort comprising of 34 comfortable en-suite rooms are spit into two types and all contain air conditioning, mini bar, safe, cable TV, IDD phone and tea/coffee maker. There are 20 pool view rooms located aruond the free form freshwater pool, some of which have interconnecting rooms making it ideal for families. The 14 Sea View Cottages provide guests with little more privacy in a romanitic spot looking onto the beach, with spectacular views of the sunset. Hotel facilities include a freshwater swimming pool, restaurant, Pool Bar and Sunset Jetty Bar at the water’s edge serving cocktails and local cuisine & snacks. The Bunaken Restaurant serves a combination of European and Indonesian Cuisine. The resport also offers a weekly BBQ, a seafood night, Indonesian style buffet and a la carte evenings, giving guests a wide range of dining choices.